Posted by BOTOSANI in Botosani, Dans Botosani, EVENIMENTE BOTOSANI, WORKSHOPURI DANS. 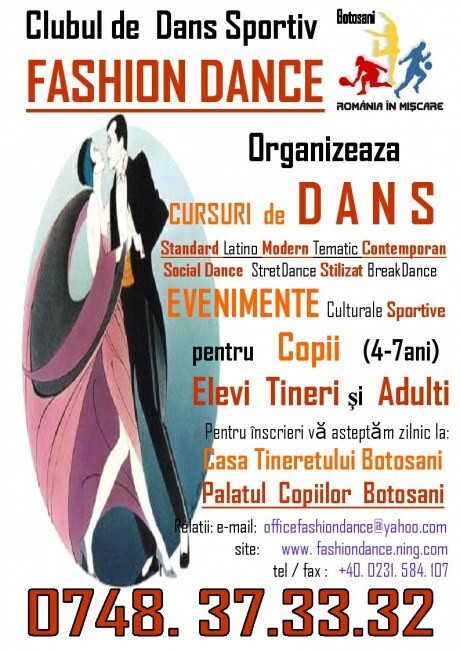 Posted by BOTOSANI in Botosani, Bucecea, CURSURI DANS ADULTI, Cursuri Dans Copii, CURSURI DANS ELEVI, CURSURI DANS TINERI, CURSURI FREEDANCE BOTOSANI, CURSURI GIMNASTICA BOTOSANI, Dans Botosani, Darabani, Dorohoi, Saveni, Trusesti, Tudora. PURPOSE dance classes in our school „FASHION DANCE” is that practitioners of this activity, to acquire the basic movements of Sports Dances, Latin American and Modern, by a method attractive, fun, easy to learn. Everything you learn in introductory courses in dance training is a basis for selecting and preparing them for advanced courses and performance of modern dance, sports and more. – Used during games fun dance classes and teaching various techniques to keep up the interest of students (children, students, young) during the lesson. 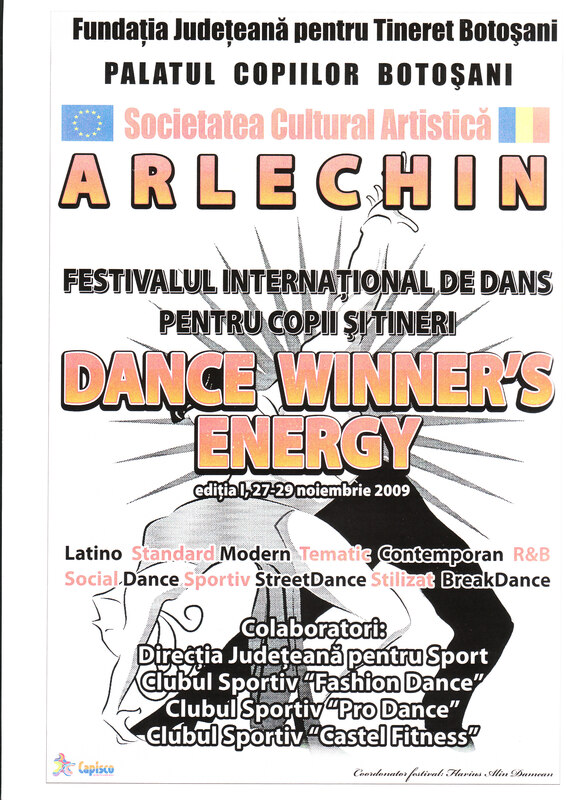 – Participation in festivaluuri, shows, competitions, thematic workshops of local, national and international. – Is to Join / resubmit, bank account or on-site in between the hours displayed. COURSE DURATION – meetings are held 2 times a week, lasting 55 min. These courses are organized in modules / teaching cycles of 3 months. Continuation courses can be done automatically by paying the following month. Lessons are planned so that you are always learning something new.